Big Brother Canada 2013 Garry "Tom’s taking me off the block..I’ll do whatever he wants"
Garry adds that he wants Aneal gone because he’s “Mooching” his identity, “Why are you wearing my heels, why are you talking like me.. you are emulating my brand” Garry Wishes Aneal was just himself. Liza reminds Garry that all Tom did was keep him safe for 7 days. Liza says she wants Garry to flip up the power in the house. Liza tells him that Aneal will throw the HOH to Talla or Garry. Liza: “Alec and peter are tighter than Alec and topaz..Tom has told me to my face he’s taking Emmett to the final 2” Liza wants Garry to know that the showmances are a big threat like Alec and Topaz. Alec joins them.. Liza leaves..
Topaz is pissed off she’s going to confront Liza. Alec and Garry tell her not to. Garry is worried that Tom won’t use the POV on him. 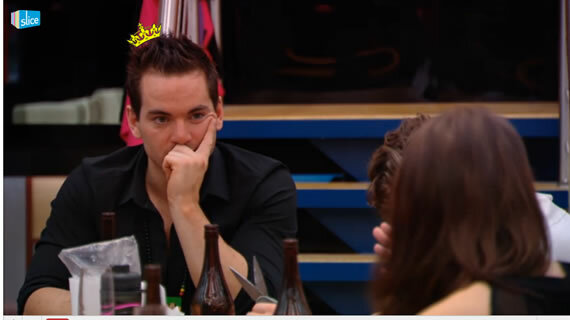 Alec says for Garry not to worry He can get the votes to save him if the POV isn’t used. 8:22pm Kitchen. Andrew Goofing around..
9:53pm Feeds come back for a minute to show Tom teaching everyone at the dinner table about making a drink. Is it just me or are the houseguests really sexual! LOL. Glad i’m not the only one that is getting tired of Liza.. I don’t watch the feeds so there must be something I’m missing here, but from what I read I think it’s a good thing we have someone like Liza coz in the event she wins HOH she can flip the power in the house which makes for interesting TV. It’s always fun when there’s ‘enemies’ in the house. If Garry winds he won’t go after Tom since he said he owes him big time. I’m glad Tom and Liza are in the house they are going to bring some awesome drama. Although I do find Liza annoying to listen to on the feeds she’s really stirring the POT which is good. I think the thing with Liza is that we don’t really know where her true alliance is..she is making so many deals that she is safe all around and probably doesn’t have to win HOH. And with Gary, I truly think he was just saying that to Liza because he knows she plays all sides and if he would have said “I’m putting Tom up” Liza would have ran to Tom and told him, and he wouldn’t use the veto on Gary. I really hope Garry stays. I love him! I’ve been waiting for Liza to make a mistake! She has been pretty good about her game so far, but I don’t like her personality enough to want her to continue getting away with her sneaky alliances with everyone. AJ should go….get rid of the dead weight. 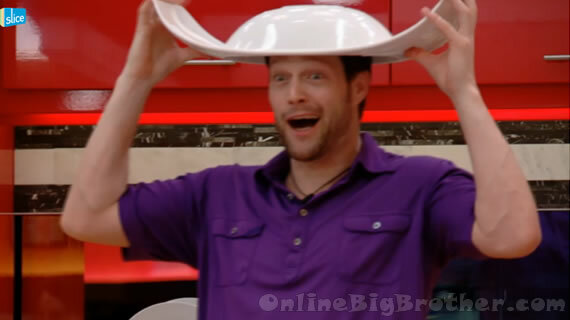 Big Brother Canada: VIDEO – ANDREW ANSWERS THE TELEPHONE AND ACCEPTS A TASK!